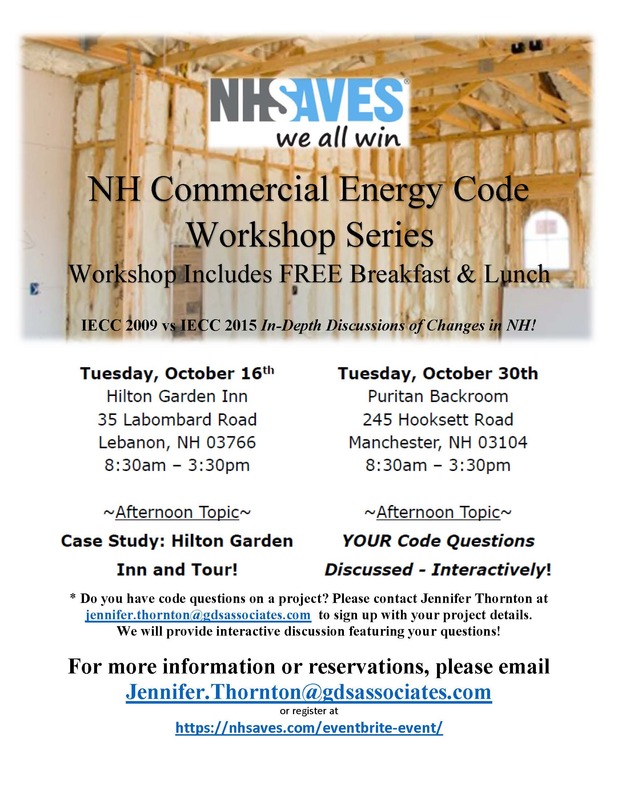 Register today for two upcoming workshops on New Hampshire Commercial Energy Codes. 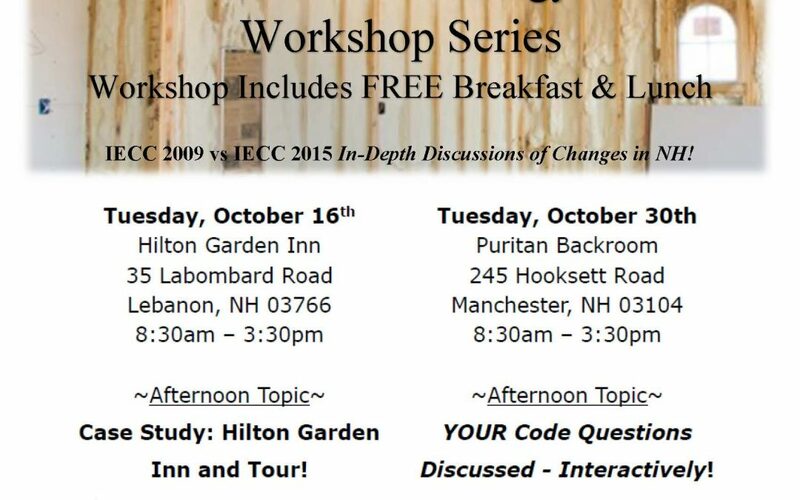 Workshops are scheduled for Tuesday, October 16 at the Hilton Garden Inn in Lebanon; and Tuesday October 30 at the Puritan Backroom in Manchester. Click here to register now. Do you have code questions on a project? Please contact Jennifer Thornton at Jennifer.thornton@gdsassociates.com to sign up with your project details. Interactive discussions will address your questions!